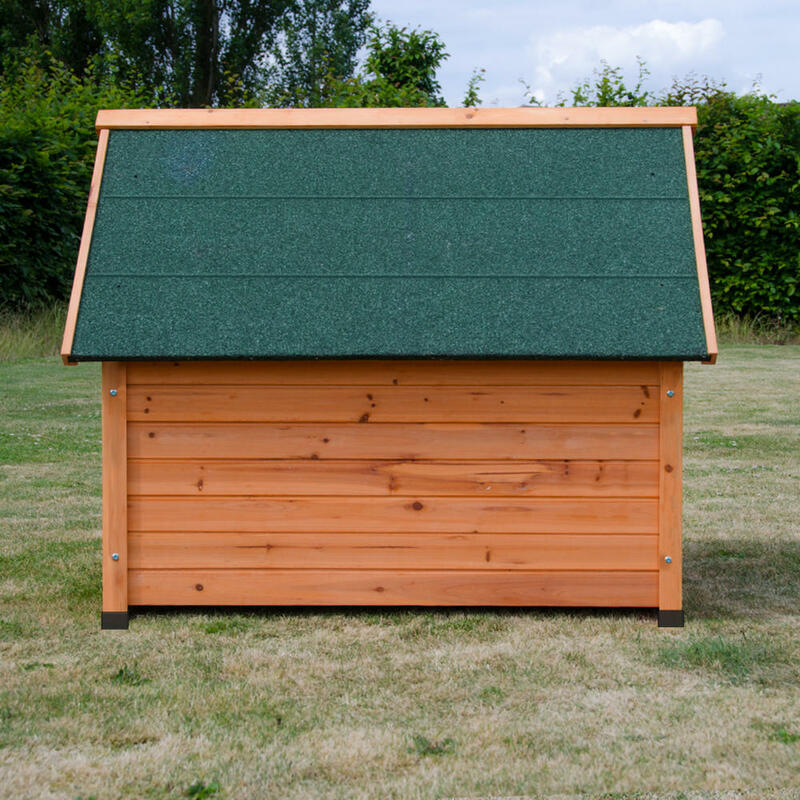 Apex roof to provide weather protection. 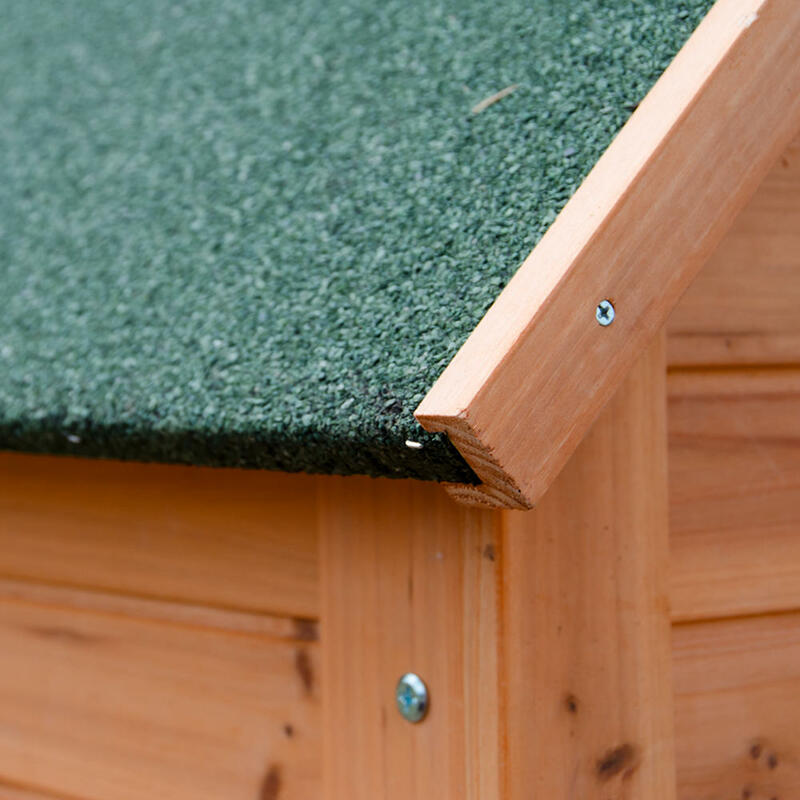 Base raised from floor to prevent damp. Made from dry fir wood. 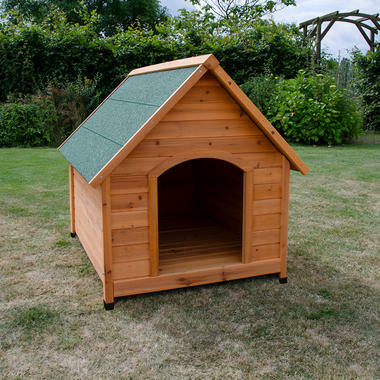 Extra-large sized dog kennel made from high quality treated wood to ensure durability and long-life. 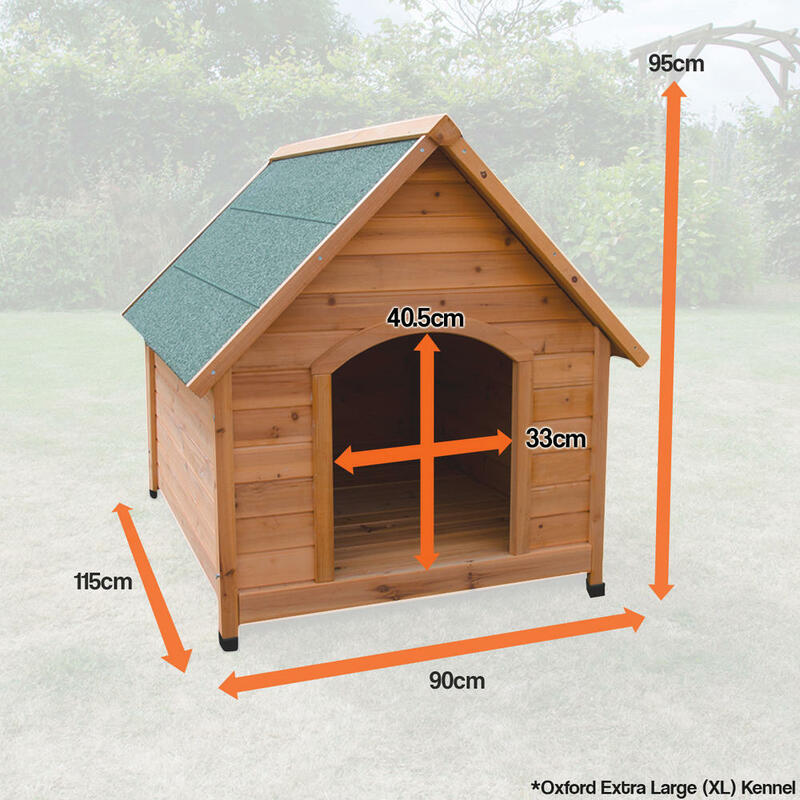 The Extra Large Oxford Dog Kennel is the perfect unit for your dog. The large front open door is suitable for most size dogs, and the raised base helps to protect from the weather.